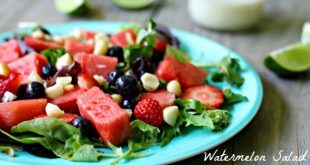 Watermelon Salad recipe with mixed salad greens, blueberries and almonds topped with a Coconut Lime Dressing. 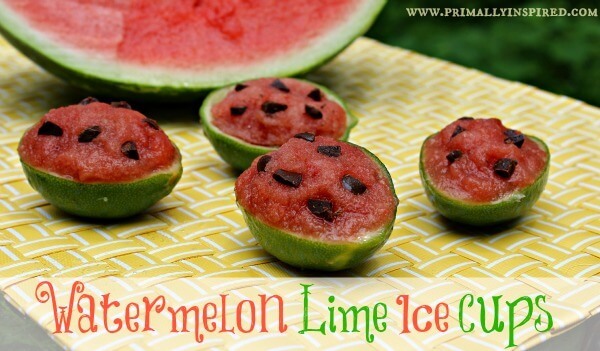 Paleo, Vegan, Vegetarian. 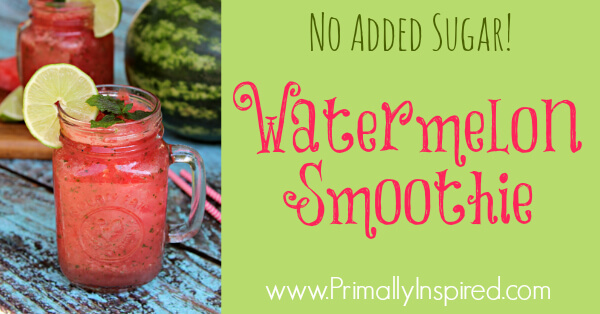 Here's some tips so you can learn how to pick a watermelon that's super sweet and juicy every single time! 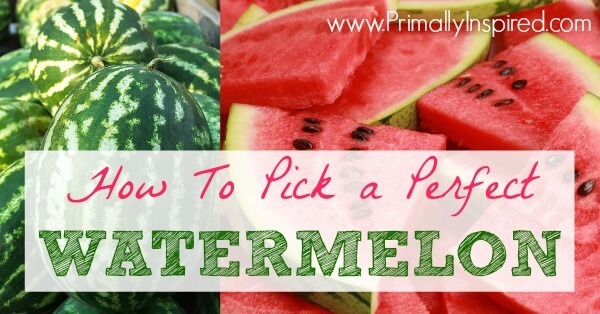 I'll show you how to pick the perfect watermelon.